Flip a coin. If heads your opponent's pokemon can't do anything thing for tree rounds. Parilyze your opponent's pokemon. Flip a coin. 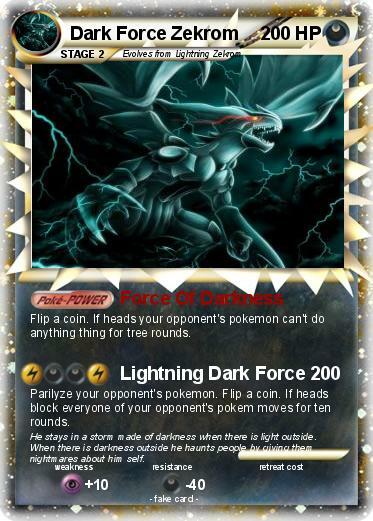 If heads block everyone of your opponent's pokem moves for ten rounds. Comments : He stays in a storm made of darkness when there is light outside. When there is darkness outside he haunts people by giving them nightmares about him self.